In light of our most recent understanding of the age of the planetary systems that might support life I discuss the set of assumptions that currently guide SETI re- search and make recommendations for a new, more “aggressive” approach. Recent discoveries due to the Kepler project have iden- tified planetary system as old as 10.4 Gyr (Kepler-10)  , and 11.2 Gyr (Kepler-444) . Considering that the age of our solar system is about 4.5 Gyr, earth like planets could exist that are 6 Gyr, older than our own. Considering further that technological development in our civilization started only about 10K years ago and has seen the rise of scientific methodologies only in the past 500 years, we can surmise that we might have a real problem in predicting technological evolution even for the next thousand years, let alone 6 Million times that amount! Clearly distance and energy are insurmountable prob- lems for the technologies we have available and our present understanding of physics. Still we are able to fathom possibilities of achieving much greater under- standing and control of matter-energy and space-time. Even if the speed of light continues to be an unbreak- able barrier, over spans of thousands of years civiliza- tions could probably make interstellar journeys, de- pending on what assumptions we make about the forms of life that they will comprise (see below). I suspect that, even if the radio medium continues to be used, the packing of information inside it would be so much greater that we would not be able to recognize any “structure” and would not be able to distinguish it form noise, unless a civilization would in fact decide to use it as a beacon. Even with that intention, that form of communication might quickly have become obsolete, and they might choose other types of beacons for civilizations that are closer in development to theirs. Whether and how civilizations would choose to com- municate could also be a fertile field of techno- sociological study. Given the fairly common presence of elements that might be involved in the origin of life throughout the universe, it is a reasonable assumption that life “as we know it” was at least a common starting point, but our form of life and intelligence, may just be a tiny first step in a continuing evolution that may well produce forms of intelligence that are far superior to ours and no longer based on carbon “machinery”. After a mere 50 years of computer evolution we are already talking about “super-intelligence” and we are quickly becom- ing symbiotic with computer power. I don’t want to address here the issue of the survival of our species, or its future “role” within a continuing evolution of mil- lions of years. I simply want to point out the fact that the intelligence we might find and that might choose to find us (if it hasn’t already) might not be at all be pro- duced by carbon based organisms like us. How might that change the above assumptions about interstellar travel? Our typical life-spans would no longer be a limitation (although even these could be dealt with multi-generational missions or suspended animation), and the size of the “explorer” might be that of an ex- tremely tiny super-intelligent entity. And how might this change our assumptions about openness or desire to communicate with other civilizations? It seems to me that SETI has ignored (at least official- ly) the potential relevance of UFO phenomena for three reasons: 1) The assumption of extremely low likelihood of interstellar travel, 2) The very high likeli- hood of hoaxes, mistaken perceptions or even psychot- ic events in UFO phenomena, and 3) The general avoidance of the subject by the scientific community. I think the approach the scientific community could take, instead, is very similar to what SETI has done so far: find the signal in the noise. In the very large amount of “noise” in UFO reporting there may be “signals” however small, that indicate some phenome- na that cannot be explained or denied. If we adopt a new set of assumptions about what forms of higher intelligence and technology we might find, some of those phenomena might fit specific hypotheses, and we could start some serious enquiry. The recent Kepler discoveries of Earth-like planets offer the opportunity to focus our attention on detect- ing signs of life and technology in specific planetary systems, but I feel we need to become more flexible in our assumptions. The reason is that, while it is still reasonable and conservative to assume that life is most likely to have originated in conditions similar to ours, the vast time differences in potential evolutions render the likelihood of “matching” technologies very slim. Engage physicists in what might be called “speculative physics”, still grounded in our most solid theories but with some willingness to stretch possibilities as to the nature of space-time and energy. Engage technologists in futuristic exploration of how technology might evolve, especially w/r Artificial Intelligence, “Evolvable Robot- ic Systems” and symbiosis of biology with machines. Engage sociologists in speculation about what kinds of societies we might expect from the above developments, and whether and how they might choose to communicate. 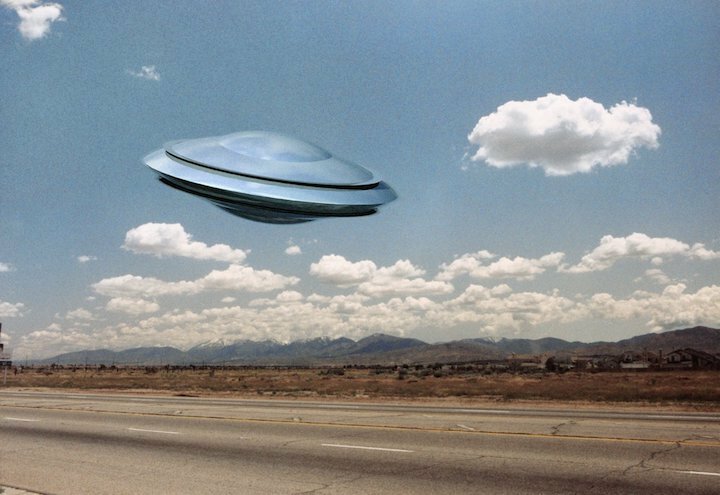 Consider the UFO phenomenon worthy of study in the context of a system with very low signal to noise ratio, but nevertheless with the possibility of challenging some of our as- sumptions and pointing to new possibilities for communication and discovery. (A) The proposals of this white paper relate to questions 2 and 3 of the Alien Mindscape arti- cle (how intelligent life communicates and how it can be detected) in that it addresses the fundamental issue of the potential nature and technological age of intelligent life. (B) (B) One of the recommendations made is to study UFO reports as a low signal to noise ra- tio phenomenon. Big Data Analysis could ap- proach several existing data bases such as 130,000 pages of declassified U.S. Air Force documents, National UFO Reporting Center Database and several other international data bases.